Here's the good news to all Converse sneakers collector out there. If you want to add up one of these babies to your collection. Bid your way for a cause and get to own a personalized Converse Chuck Taylor high cut sneakers made by the 2016 Miss Universe candidates. 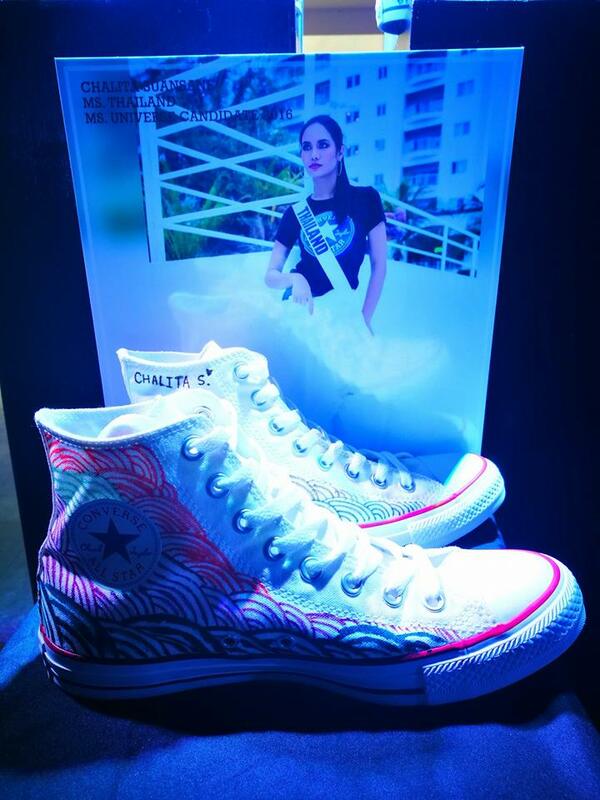 We had a chance to preview 19 painted/blinged pairs of the collectible Chucks last January 26 at Orient Square Bldg Pasig. 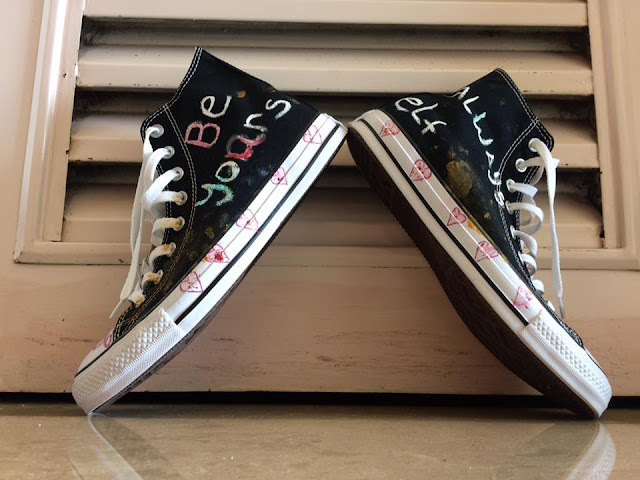 They are the cutest pairs every collector would want to have. 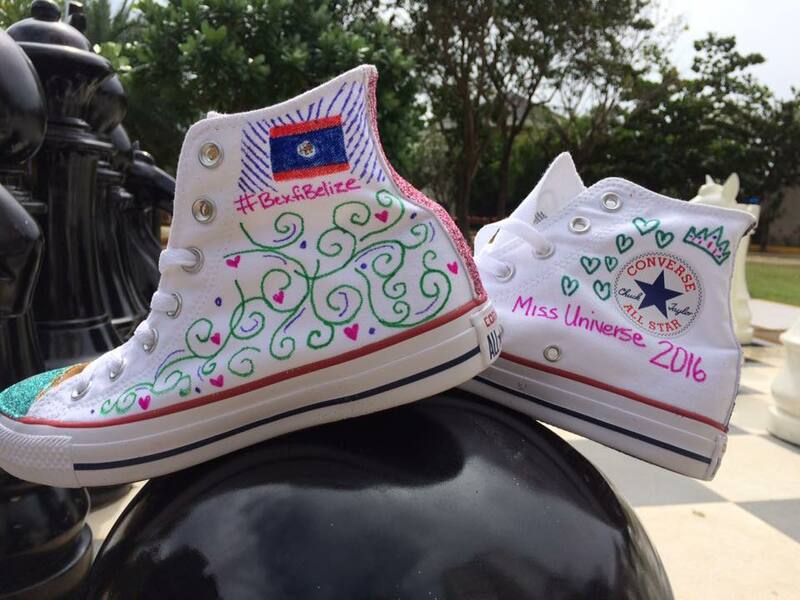 My favorite pair so far is Ms Thailand's painted chucks. 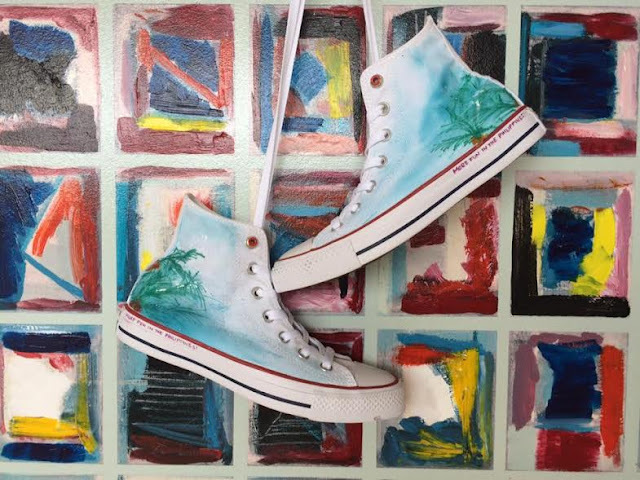 It has a clean design that could match up any of your outfit for #ootd. 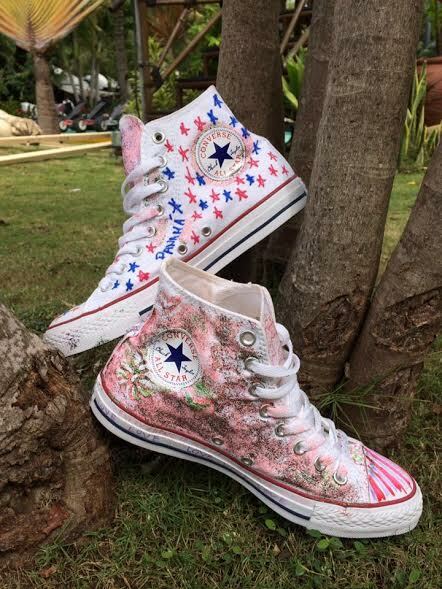 Converse PH partners with the Ms. Universe Organization in auctioning the customized sneakers (made by the 19 candidates from the 2016 Miss Universe competition) for the Positive Action Foundation. A foundation supported by the Ms Universse organization, Positive Action Foundation is devoted into helping individuals living with HIV/AIDS and their families particularly those who are displaced from their employment due to HIV phenomenon. 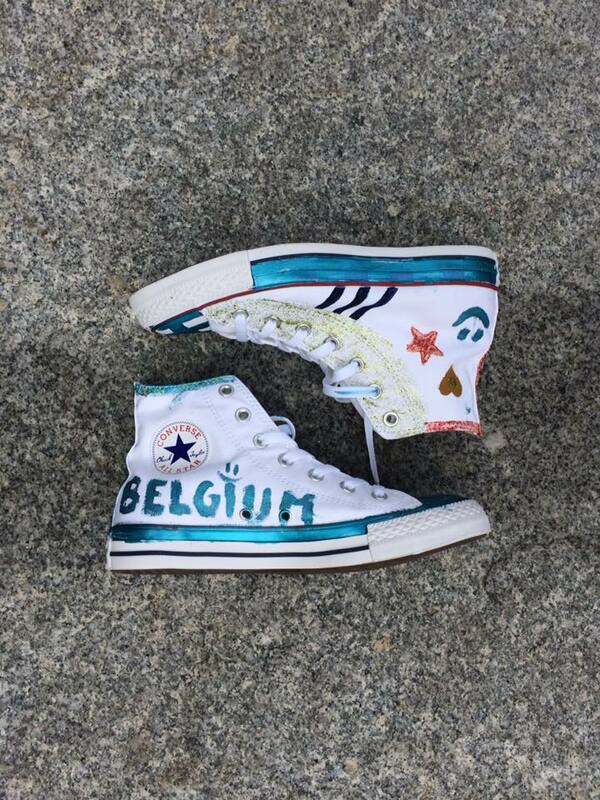 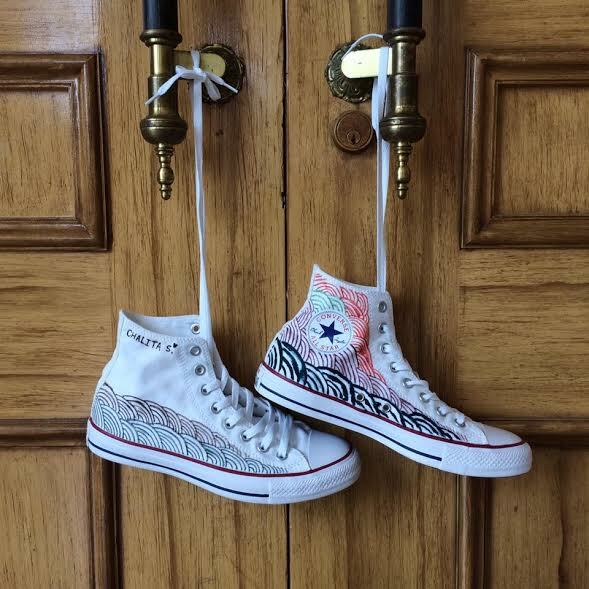 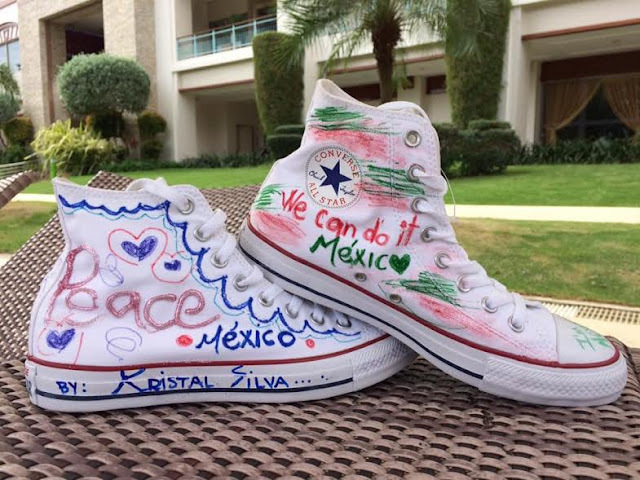 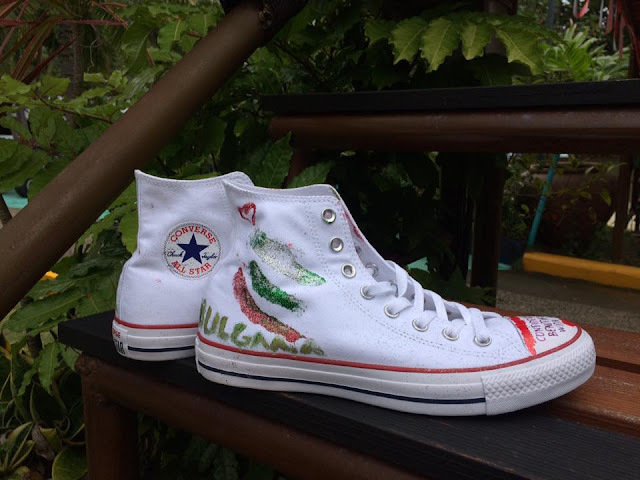 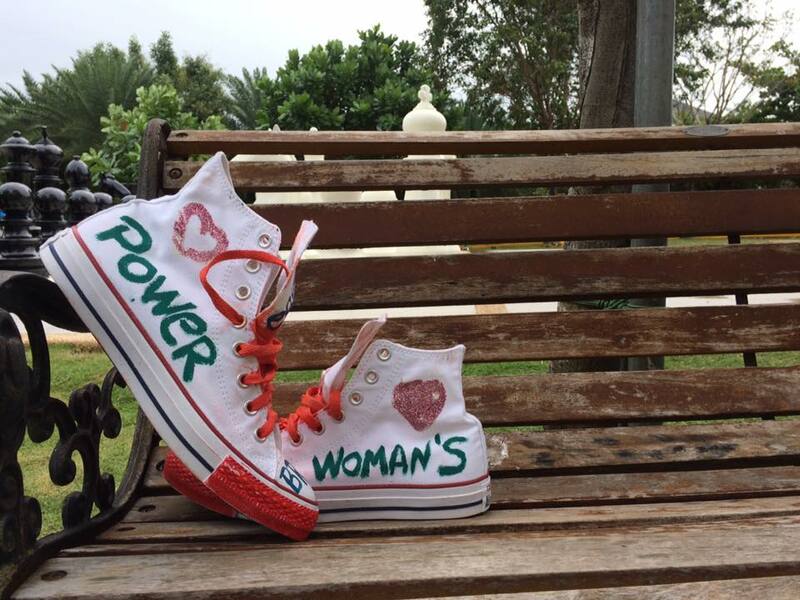 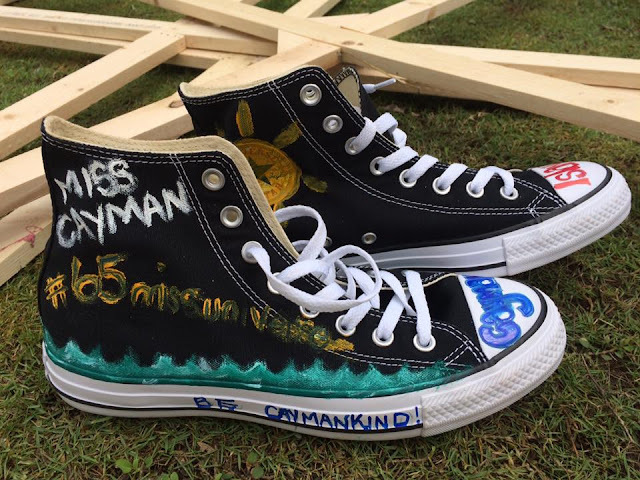 The customized converse sneakers which were all creatively done by the candidates will start bid at $50 USD. 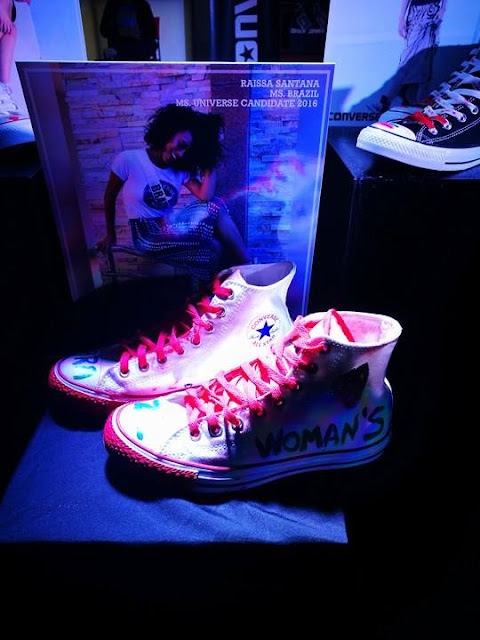 Beauty pageant patrons and Chucks collectors will get a chance to own a personalized Chucks of one of the participating candidates through a silent bid auction. Bidders may submit their bids, names and contact details thru the information officer in the mall exhibit of the shoes or thru a private message at the Converse Facebook page. 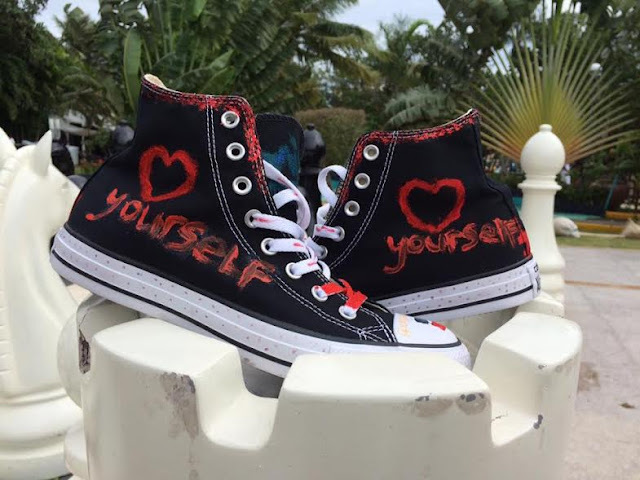 The candidates who participated are Ms. Angola – Luisa Baptista, Ms. Belgium – Stephanie Goldof, Ms. Belize – Rebecca Rath, Ms. Brazil – Raissa Santana, Ms. Bulgaria – Violina Ancheva, Ms. Cayman Islands – Monyque Brooks, Ms. Costa Rica – Carolina Duran, Ms. Germany – Johanna Acs, Ms. Guatemala – Virginia Argueta, Ms. Iceland – Hildur Maria, Ms. Mexico – Kristal Silva, Ms. Netherlands – Zoey Ivory, Ms. Nicaragua – Marina Jacoby, Ms. Panama – Keity Drenan, Ms. Paraguay – Andrea Melgarejo, Ms. Philippines – Maxine Medina, Ms. Russia – Yuliana Korolkova, Ms. Thailand – Chalita Suansane, and Ms. Uruguay – Magdalena Cohendent. 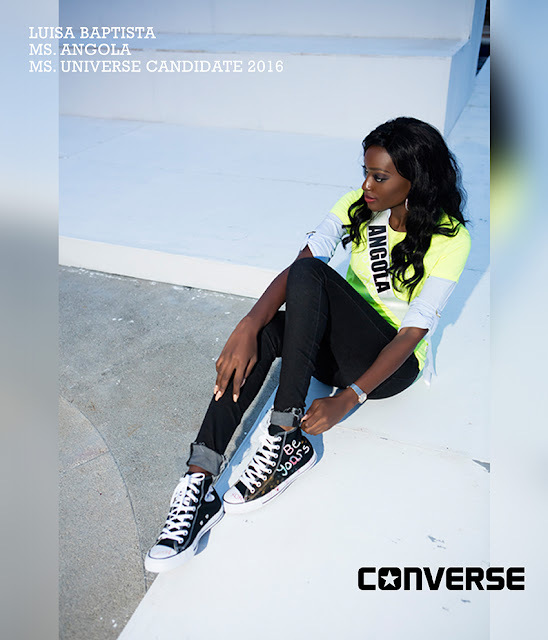 Stay tuned on Facebook page for more of #ConversePHx65MissUniverse.